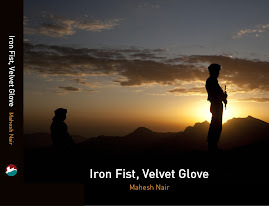 my new book, "iron fist, velvet glove", which has been in the making for the last 2.5 years is finally out. the indian army chief, gen v k singh launched the book at a well attended ceremony at the habitat centre, delhi. 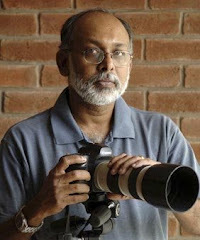 the making of the book was a real journey of exploring the frontier areas of india. the amount of learning and fun i had made everything worthwhile...the cherry on the cake is the book. let me see how the "public" is going to like it. but seriously...wow, what a relief...feels very good to have got this one out...and now on to the next project, two new books in the making and a few exhibitions...whew a busy time ahead!! the popular thought seems to be that conservation is the "job" of the conservationists, much like treating people is for doctors and arguing law is for lawyers!! while the latter two are specialized areas and probably can be done only after much study and training, conservation is everyone's "job". if only the handful of people in epa, wwf etc at an international level and a few others at the domestic level are going to go around conserving nature, it is not going to get us very far, especially when the billions of the rest of us try very hard to thwart whatever these few are trying to achieve. reiterating that we are fast hurling towards a bleak future is meaningless...all of us at one level or the other is aware of that. the statistics stare at our face everyday. estimates vary but we make extinct everyday something between 35 to 150 species. what is even more worrying and scary is this range - we don't even know exactly how may species are vanishing everyday!!! even at the lower estimate, that is one hell of a extinction plan that we have adopted (we would make Adolf Hitler proud). in fact we can be "proud" of the fact that we as a species have managed to do in the last couple of centuries what nature, comet strikes etc. etc (and that includes the dinosaur extinction as well) couldn't do over many millions of years. how this wonderful ways of ours will affect our children and theirs is anyones guess. from custodians of this nature, keeping it in trust for the future generations, we have moved into the role of tyrants - take what you want, when you want at any cost and damn the rest!! this is especially for those of you who are going to be in singapore or passing through singapore from 3/april till 24/may 2009.
national geographic (natgeo) is hosting my solo exhibition at their gallery attached to their store there. as a nature photographer, i am thrilled at this recognition from the ultimate in nature photography. Do drop in if you are in Singapore during this time and buy the pictures for a worthy cause!! The address is #01-19 VivoCity, 1 Harbour Front Walk. Singapore.